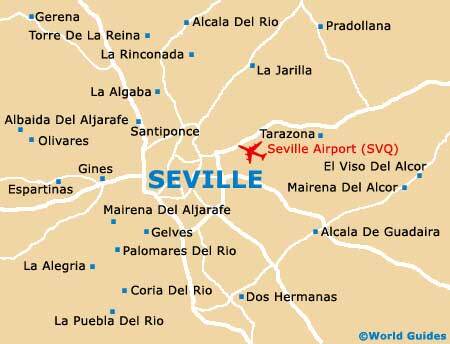 Seville enjoys a typically Mediterranean climate throughout the year, with cool winters and sunny, hot summers. July and August are the hottest months of the year and the temperatures in Andalucia can reach as much as 37°c / 99°F. Being close to the coast, the sea breezes can be most refreshing in the hot weather. From November to April, it is advisable to wear either a warm sweater, jacket or coat. In mid-winter, around January time, Seville is at its coldest, although Andalucia can quite often have pleasant mild spells at this time of year. From late-January onwards, the average temperatures begin to rise. From March onwards the weather starts to warm up dramatically and is noticeably more sunny. May is a particularly pleasant time to visit Seville, with the weather being warm and fresh. Rainfall in Seville is at its highest in autumn and winter, and between September to October there can be the occasional thunderstorm or heavy shower, usually followed by a sunny spell.